As an IT Staffing professional, the questions often asked by my candidates are, “What certifications should I pursue” and “do I need certain certifications to be successful.” There are certainly advantages to being certified, and many times employers will seek out particular certifications over a technical 4-year degree. These are the top 5 hottest and most highly requested certifications that are the most beneficial in today’s IT market. The A+ certification is an entry level certification that all aspiring IT Professionals should achieve. It shows commitment to starting your career out with more than just book knowledge, and it demonstrates that you can apply your learned skills to real-world troubleshooting issues. Later in your career this certification won’t carry as much impact, but if you are new in the industry and looking for an edge over the growing competition, I would suggest this as your starting point to add that extra piece to your resume the next guy decided to skip. These are the newest IT Infrastructure related certifications from Microsoft. They are quickly gaining popularity and will set you apart from the hundreds (thousands) of others with similar skills and experience. Microsoft has led the way in corporate computing environments in most industries, so it is only fitting that they lead the way in industry-standard certifications. These certifications give a hiring manager /recruiter a sense of confidence that you have the knowledge and dedication to be successful. They are targeted certifications for your specific skill set. Some of the more popular (and valuable) certifications in these categories would be: Windows Server, Exchange, Virtualization, SQL Server, Visual Studio, Windows Client, and Windows Mobil. With a targeted certification like these, you don’t have a broad-range generalized certification of Microsoft products…you actually show value to your interviewing manager by having certified your expertise in the primary technology currently leading the industry, which is why these are highly sought after by IT Managers nationwide. Cisco networking products are by far the most widely used switching/routing technology and has been the industry standard for many years. Other competing products have started to become more common in certain industries, but Cisco is still the standard by which all others are compared, so it only makes sense that this line of certifications be the standard by which all potential employees are compared as well. For a career in corporate enterprise level networking, these certifications should be considered a “must have” to be successful. The education they provide shows a premier example that you are one of “the best” in the business. Hiring managers and recruiters looking for experienced networking professionals will often look to see if the person has achieved their Cisco certification level that is appropriate for the job, and begin to choose who they will interview from there. CCNA (at a minimum) should be acquired by anyone with a career that involves routing/switching, and many employers will require it to be obtained before they will hire you…or within 90 days of starting the job. The further certifications only prove your value as a senior associate and subsequent pay increases are certainly to follow as your certification level increases with experience and further education. CCIE professionals are some of the most highly sought after (and highly paid) IT Professionals in the United States today. I don’t expect this to change anytime soon, so if you’re making a career out of routing/switching and Cisco is your core experience (which it should be) then you should highly consider pursuing these certifications to help advance your career to the next level. ITIL standards are quickly becoming the foundation of operating an efficient IT Service Management department. ITIL framework defines how the system and network management departments should be defined for peak efficiency. As more and more IT departments strive to adhere to ITIL standards they are seeking out employees that are certified in the ITIL Foundations in order to continue to perform at peak efficiency. I have hiring managers that will not consider adding to their staff if the individual has not previously worked in an ITIL shop or already has the ITIL Foundations certification. I foresee this becoming more and more common as corporations embrace the advantages these principals add to their organization. 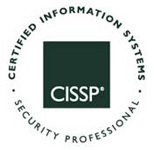 The CISSP was the first credential in the field of information security accredited by the ANSI (American National Standards Institute) to ISO Standard 17021:2003. Corporate security has always been a concern, but even more so in today’s cyber world of high tech computing and network/server hacking warfare. There are several security related certifications and all of them will add value to your background and credibility to your skills, but none as much as the CISP. This certification is probably the most requested certification from hiring managers looking for senior level IT security professionals. If you have at least five years of IT Networking and IT Security experience, this should be one of you next career goals. I should also note that this certification ranked among the top 5 highest paid certified IT professionals in the industry. By focusing strictly on technology related certifications in this list there are many that I have not mentioned, but are very highly sought after as well. A PMP certification (for example) is almost always requested when I’m asked to find an experienced Project Manager. Having a PMP is crucial to a successful career in Project Management. There are other certifications in a variety of technical specialties, but those listed above are the ones that I am asked about most often. Some of these certifications are important when beginning your career, and some of them are critical to achieving that next level of advancement (professionally and financially) as your career grows. My advice is once you are on a career path, ask around from other industry professionals to see what‘s new and sought after. Then decide if a related certification will help you pursue that career path. More often than not I would imagine it certainly will.